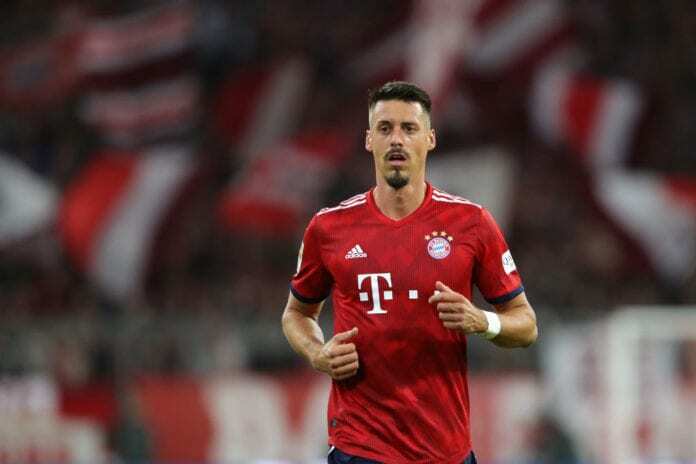 Bayern Munich have announced that Sandro Wagner has signed up for Chinese Super League side Tianjin Teda. The 31-year-old forward rejoined Bayern in January 2018 in a €13m transfer from Hoffenheim and scored an impressive eight goals in his 14 appearances to help the club seal a sixth Bundesliga title in a row. But this season has seen Wagner register just a single start in his seven league games for Bayern without even one goal to his name. Manager Niko Kovac, who replaced Jupp Heynckes last summer, has opted to start Robert Lewandowski instead for 18 of Bayern’s 19 Bundesliga games with the Pole frequently being deployed as the only striker. Now Bayern have confirmed that Wanger requested for his contract, which was due to expire in 2020, to be terminated with immediate effect so that he could complete a move to Tianjin Teda. “Sandro approached us and asked us to release him from his contract,” Bayern sporting director Hasan Salihamidzic told the club website. “He has a very attractive offer from China, so we granted his request. We would like to express our thanks to Sandro for his time at FC Bayern, and we wish him all the best and a lot of success for his future in China. Reports have indicated that Wagner has been offered a two-year deal for a fee of €5m at Tianjin Teda, who are coached by German Uli Stielike. In total, Wagner managed 11 goals and three assists in 38 appearances for Bayern and won the Bundesliga twice. The former Germany international has also played for MSV Duisburg, Werder Bremen, 1. FC Kaiserslautern, Hertha BSC and Darmstadt 98 across a 14-year playing career in his homeland. Wagner will link up with compatriot and former Hertha BSC team-mate Felix Bastians at Tianjin Teda, who will hope the German will be able to bring home the goals to help them improve on last season’s 14th-place finish in the Chinese Super League. The league season in China will begin on March 1.